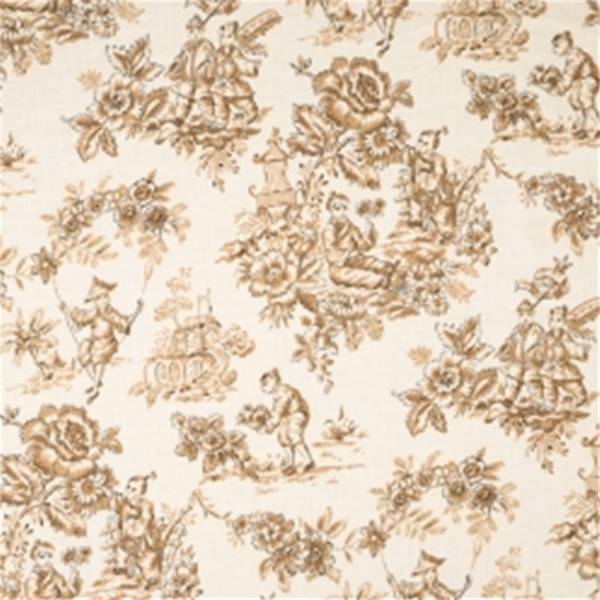 This is a beautiful brown and ivory toile print by Trend Jaclyn Smith Home Fabrics. 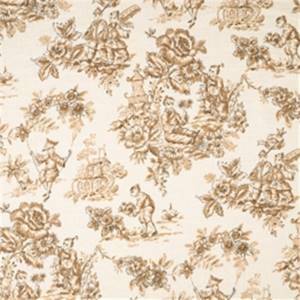 Ideal as drapery, upholstery, or bedding fabric. Suitable for many home decorating applications. Dry cleaning recommended. Compared at $40.95.